That’s right, guys! We have a new website & a new book release. I started my blogger journal in 2009, but, after seven years a lot has changed. And that meant that my blog needed to change, too. Thus, we have this new, exciting website built by my brother (WeDesign Digital). Whilst I’m sad to leave the old blog behind, it wasn’t quite suiting its purpose as a professional quality website for an author. It’s just over three years since I released my first book, Desecrated Bonds, and we’re now onto the seventh with a trilogy complete and another series underway. If you’d have asked me seven years ago if I’d thought I’d be where I am today, I would probably just have laughed. So, hopefully, you can see all the new book pages and their individual series’ banners. There’s obviously the new blog and a brand new, exciting, current word count feature. We still have a few things to tweak here and there, but the main awesomeness is already in place. Which leads me to the big news regarding my latest book! With little power comes great potential… & an agonizing death. Business has been quiet since her last case, but an abduction in New York drags PI Violet Eonsen off to the states with the promise of a paid job. Accompanied by friend & mute, Simon, they soon realise that there’s more than just one victim here. There’s been a spate of disappearances all over the city & the police aren’t doing anything. Necromancer Violet is convinced that the victims are still alive, but who’s kidnapping them & why? When it becomes obvious that all the abductees are mutes or weak supernaturals, Violet’s desperate to send Simon home to protect him. Except Simon won’t leave. Finally finding a friend from the past, he’s unwilling to let go of the only connection to his old life. But is this old friend all that she seems? & will Simon become the next victim on the kidnapper’s list? Not if Violet can help it. There are a couple of appearances from recurring characters in the Indigo Skies series. However, this new book focuses mainly on Simon and Violet. It also sets us up nicely for the sequel, Calling The Wolf, which will be my next book. And, of course, I’ve already started writing that one. The great thing about this series is you don’t need to have started with the first to be able to read the new book. So, whilst I’d encourage you to read the first two, it’s not totally necessary in order for you to enjoy Lightning & Power. Isn’t that great? But, if you’re like me, you’ll want to read the first two anyway. So why not start with Preying On Time? To make it even tastier, it’s also on sale at a knockdown price of $2.99! And only £1.99 in the UK! If you have already digested the first two novels, then you might want to preorder the new book for it’s 1st October release. You can do this at Amazon, Smashwords, Barnes & Noble & more! 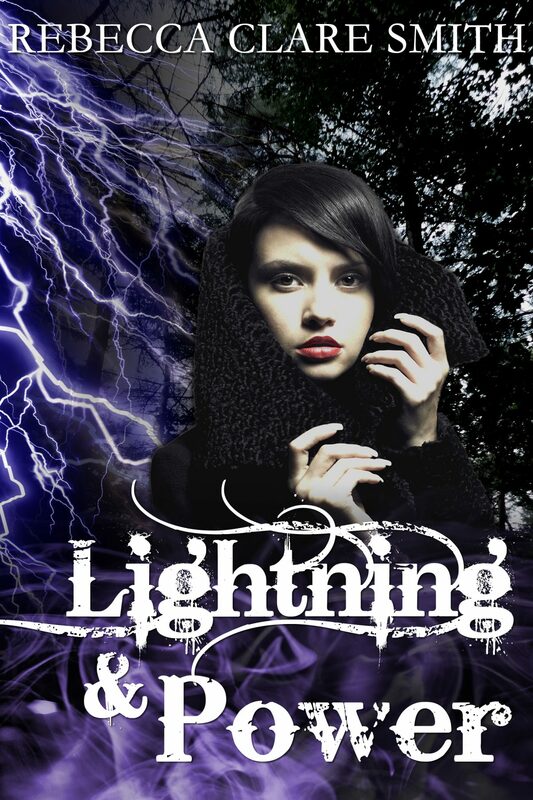 Next Next post: Free First Chapter of Lightning & Power!